Matthew was born in Manitoba and graduated from the Royal Winnipeg Ballet Professional Division in 2015. His passion for dance was sparked when he started training in tap at the age of 12. The following year he was invited to join the Canadian Junior Tap Team to compete in the World Tap Dance Championships in Riesa, Germany where he placed 4th. After competing in national and international festivals, Matthew began to explore other forms of dance and gravitated towards ballet. In 2011, he was accepted into the Professional Division at the Royal Winnipeg Ballet School. During his time in the RWBS, Matthew received several awards and scholarships. Upon graduating, he joined the Aspirant Program under the direction of Stephane Leonard. 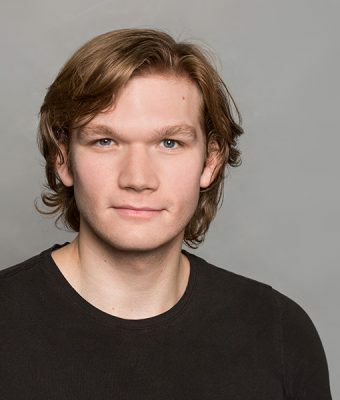 As an Aspirant, Matthew performed with the Royal Winnipeg Ballet company on stage as well as the Winnipeg Fringe Festival and Ballet in the Park. Matthew also worked with emerging choreographers Philippe Alexandre Jacques and Yosuke Mino, who capitalized on his powerful movement and partnering skills. Matthew is looking forward to expanding his artistic horizons with Citie Ballet. During his spare time, Matthew also loves to explore his passion for cooking and the outdoors, including camping and biking.